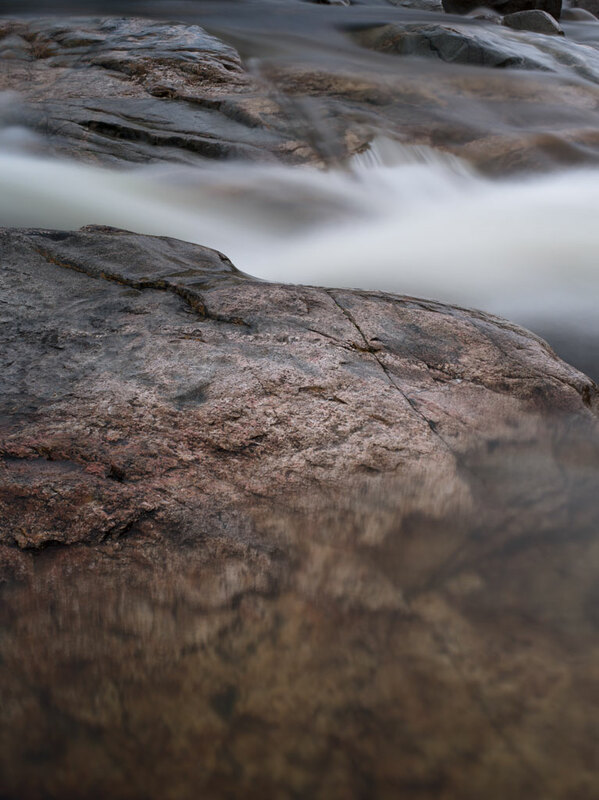 The Swift River in the White Mountains National Park in New Hampshire follows the path of the Kancamagus Highway. 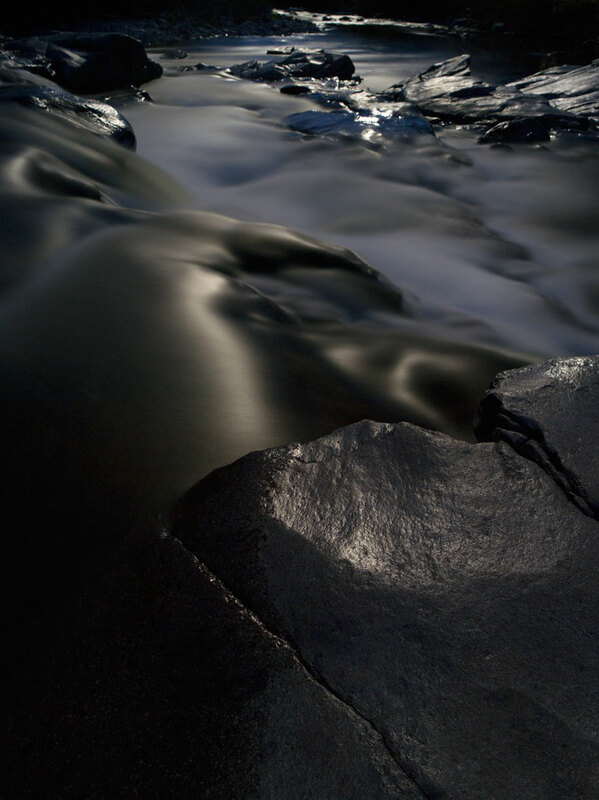 The moonlight illuminates the coursing water and polished stone. The interplay between these two elements reveals their shared destiny. Both creating and destroying their mutual forms. Clicking on the images will enlarge them.